"You are an intelligent and honest man, as one may see by your face. We conceive you to be poor and a stranger. Enclosed you will find a sum of money. It is lent to you for thirty days, without interest. Report at this house at the end of that time. I have a bet on you. If I win it you shall have any situation that is in my gift - any, that is, that you shall be able to prove yourself familiar with and competent to fill." Maybe those men mean me well, maybe they mean me ill; no way to decide that - let it go. They've got a game, or a scheme, or an experiment, of some kind on hand; no way to determine what it is - let it go. There's a bet on me; no way to find out what it is - let it go. That disposes of the indeterminable quantities; the remainder of the matter is tangible, solid, and may be classed and labeled with certainty. If I ask the Bank of England to place this bill to the credit of the man it belongs to, they'll do it, for they know him, although I don't; but they will ask me how I came in possession of it, and if I tell the truth, they'll put me in the asylum, naturally, and a lie will land me in jail. The same result would follow if I tried to bank the bill anywhere or to borrow money on it. I have got to carry this immense burden around until those men come back, whether I want to or not. It is useless to me, as useless as a handful of ashes, and yet I must take care of it, and watch over it, while I beg my living. I couldn't give it away, if I should try, for neither honest citizen nor highwayman would accept it or meddle with it for anything. Those brothers are safe. Even if I lose their bill, or burn it, they are still safe, because they can stop payment, and the Bank will make them whole; but meantime I've got to do a month's suffering without wages or profit - unless I help win that bet, whatever it may be, and get that situation that I am promised. I should like to get that; men of their sort have situations in their gift that are worth having.
" 'Tend to you presently." "Sell an eccentric millionaire such an unspeakable suit as that! Tod's a fool - a born fool. Always doing something like this. Drives every millionaire away from this place, because he can't tell a millionaire from a tramp, and never could. Ah, here's the thing I am after. Please get those things off, sir, and throw them in the fire. Do me the favor to put on this shirt and this suit; it's just the thing, the very thing - plain, rich, modest, and just ducally nobby; made to order for a foreign prince - you may know him, sir, his Serene Highness the Hospodar of Halifax; had to leave it with us and take a mourning-suit because his mother was going to die - which she didn't. But that's all right; we can't always have things the way we - that is, the way they - there! trousers all right, they fit you to a charm, sir; now the waistcoat; aha, right again! now the coat - Lord! look at that, now! Perfect - the whole thing! I never saw such a triumph in all my experience." "Indefinitely! It's a weak word, sir, a weak word. Eternally - that's the word, sir. Tod, rush these things through, and send them to the gentleman's address without any waste of time. Let the minor customers wait. Set down the gentleman's address and--"
And it was natural; for I had become one of the notorieties of the metropolis of the world, and it turned my head, not just a little, but a good deal. You could not take up a newspaper, English, Scotch, or Irish, without finding in it one or more references to the "vest-pocket million-pounder" and his latest doings and saying. At first, in these mentions, I was at the bottom of the personal-gossip column; next, I was listed above the knights, next above the baronets, next above the barons, and so on, and so on, climbing steadily, as my notoriety augmented, until I reached the highest altitude possible, and there I remained, taking precedence of all dukes not royal, and of all ecclesiastics except the primate of all England. But mind, this was not fame; as yet I had achieved only notoriety. Then came the climaxing stroke - the accolade, so to speak - which in a single instant transmuted the perishable dross of notoriety into the enduring gold of fame: Punch caricatured me! Yes, I was a made man now; my place was established. I might be joked about still, but reverently, not hilariously, not rudely; I could be smiled at, but not laughed at. The time for that had gone by. Punch pictured me all a-flutter with rags, dickering with a beef-eater for the Tower of London. Well, you can imagine how it was with a young fellow who had never been taken notice of before, and now all of a sudden couldn't say a thing that wasn't taken up and repeated everywhere; couldn't stir abroad without constantly overhearing the remark flying from lip to lip, "There he goes; that's him!" couldn't take his breakfast without a crowd to look on; couldn't appear in an operabox without concentrating there the fire of a thousand lorgnettes. Why, I just swam in glory all day long- that is the amount of it. About the tenth day of my fame I went to fulfil my duty to my flag by paying my respects to the American minister. He received me with the enthusiasm proper in my case, upbraided me for being so tardy in my duty, and said that there was only one way to get his forgiveness, and that was to take the seat at his dinner-party that night made vacant by the illness of one of his guests. I said I would, and we got to talking. It turned out that he and my father had been schoolmates in boyhood, Yale students together later, and always warm friends up to my father's death. So then he required me to put in at his house all the odd time I might have to spare, and I was very willing, of course. In fact, I was more than willing; I was glad. When the crash should come, he might somehow be able to save me from total destruction; I didn't know how, but he might think of a way, maybe. I couldn't venture to unbosom myself to him at this late date, a thing which I would have been quick to do in the beginning of this awful career of mine in London. No, I couldn't venture it now; I was in too deep; that is, too deep for me to be risking revelations to so new a friend, though not clear beyond my depth, as I looked at it. Because, you see, with all my borrowing, I was carefully keeping within my means - I mean within my salary. Of course, I couldn't know what my salary was going to be, but I had a good enough basis for an estimate in the fact, that if I won the bet I was to have choice of any situation in that rich old gentleman's gift provided I was competent - and I should certainly prove competent; I hadn't any doubt about that. And as to the bet, I wasn't worrying about that; I had always been lucky. Now my estimate of the salary was six hundred to a thousand a year; say, six hundred for the first year, and so on up year by year, till I struck the upper figure by proved merit. At present I was only in debt for my first year's salary. Everybody had been trying to lend me money, but I had fought off the most of them on one pretext or another; so this indebtedness represented only £300 borrowed money, the other £300 represented my keep and my purchases. I believed my second year's salary would carry me through the rest of the month if I went on being cautious and economical, and I intended to look sharply out for that. My month ended, my employer back from his journey, I should be all right once more, for I should at once divide the two years' salary among my creditors by assignment, and get right down to my work. "No. Are you the - the--"
He gripped my hand hard, and braced up, and was all right and lively after that for the dinner - which didn't come off. No; the usual thing happened, the thing that is always happening under that vicious and aggravating English system - the matter of precedence couldn't be settled, and so there was no dinner. Englishmen always eat dinner before they go out to dinner, because they know the risks they are running; but nobody ever warns the stranger, and so he walks placidly into trap. Of course, nobody was hurt this time, because we had all been to dinner, none of us being novices excepting Hastings, and he having been informed by the minister at the time that he invited him that in deference to the English custom he had not provided any dinner. Everybody took a lady and processioned down to the dining-room, because it is usual to go through the motions; but there the dispute began. The Duke of Shoreditch wanted to take precedence, and sit at the head of the table, holding that he outranked a minister who represented merely a nation and not a monarch; but I stood for my rights, and refused to yield. In the gossip column I ranked all dukes not royal, and said so, and claimed precedence of this one. It couldn't be settled, of course, struggle as we might and did, he finally (and injudiciously) trying to play birth and antiquity, and I "seeing" his Conqueror and "raising" him with Adam, whose direct posterity I was, as shown by my name, while he was of a collateral branch, as shown by his, and by his recent Norman origin; so we all processioned back to the drawing-room again and had a perpendicular lunch - plate of sardines and a strawberry, and you group yourself and stand up and eat it. Here the religion of precedence is not so strenuous; the two persons of highest rank chuck up a shilling, the one that wins has first go at his strawberry, and the loser gets the shilling. The next two chuck up, then the next two, and so on. After refreshment, tables were brought, and we all played cribbage, sixpence a game. The English never play any game for amusement. If they can't make something or lose something - they don't care which - they won't play. We had a lovely time; certainly two of us had, Miss Langham and I. I was so bewitched with her that I couldn't count my hands if they went above a double sequence; and when I struck home I never discovered it, and started up the outside row again, and would have lost the game every time, only the girl did the same, she being in just my condition, you see; and consequently neither of us ever got out, or cared to wonder why we didn't; we only just knew we were happy, and didn't wish to know anything else, and didn't want to be interrupted. And I told her - I did, indeed - told her I loved her; and she - well, she blushed till her hair turned red, but she liked it; she said she did. Oh, there was never such an evening! Every time I pegged I put on a postscript; every time she pegged she acknowledged receipt of it, counting the hands the same. Why, I couldn't even say "Two for his heels" without adding, "My, how sweet you do look!" and she would say, "Fifteen two, fifteen four, fifteen six, and a pair are eight, and eight are sixteen - do you think so?" - peeping out aslant from under her lashes, you know, so sweet and cunning. Oh, it was just too-too! Well, I was perfectly honest and square with her; told her I hadn't a cent in the world but just the million-pound note she'd heard so much talk about, and it didn't belong to me, and that started her curiosity; and then I talked low, and told her the whole history right from the start, and it nearly killed her laughing. What in the nation she could find to laugh about I couldn't see, but there it was; every half-minute some new detail would fetch her, and I would have to stop as much as a minute and a half to give her a chance to settle down again. Why, she laughed herself lame - she did, indeed; I never saw anything like it. I mean I never saw a painful story - a story of a person's troubles and worries and fears - produce just that kind of effect before. So I loved her all the more, seeing she could be so cheerful when there wasn't anything to be cheerful about; for I might soon need that kind of wife, you know, the way things looked. Of course, I told her we should have to wait a couple of years, till I could catch up on my salary; but she didn't mind that, only she hoped I would be as careful as possible in the matter of expenses, and not let them run the least risk of trenching on our third year's pay. Then she began to get a little worried, and wondered if we were making any mistake, and starting the salary on a higher figure for the first year than I would get. This was good sense, and it made me feel a little less confident than I had been feeling before; but it gave me a good business idea, and I brought it frankly out. "N-o; if my being with you would help hearten you. But - would it be quite proper, do you think?" "No, I don't know that it would - in fact, I'm afraid it wouldn't; but, you see, there's so much dependent upon it that--"
Plague take it! this language gave me the cold shudders. It scared me broad awake, and made me comprehend that I was standing on a halfinch crust, with a crater underneath. I didn't know I had been dreaming - that is, I hadn't been allowing myself to know it for a while back; but now - oh, dear! Deep in debt, not a cent in the world, a lovely girl's happiness or woe in my hands, and nothing in front of me but a salary which might never - oh, would never - materialize! Oh, oh, oh! I am ruined past hope! nothing can save me! "I may use your name! Your name - think of it! Man, they'll flock in droves, these rich Londoners; they'll fight for that stock! I'm a made man, I'm a made man forever, and I'll never forget you as long as I live!" "Yes; I told him to refer to me. I know the man, and I know the mine. His character is above reproach, and the mine is worth far more than he asks for it." "Try me - oh, do, I beg of you! Only just try me thirty or forty years, and if--"
Happy, we two? There are not words enough in the unabridged to describe it. And when London got the whole history, a day or two later, of my month's adventures with that bank-note, and how they ended, did London talk, and have a good time? Yes. Creation's early days as recounted by earth's first woman. 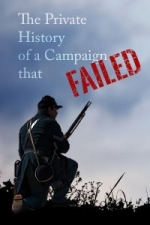 The misadventures of a group of reluctant soldiers during the American civil war - in many ways, this story anticipates Catch 22.